A dramatic cat eye is a classic. The only problem is that unless you work as a pin-up model the look can be a little suggestive for daytime. That's why I love a cute Kitten Eye. Like the Cat Eye, a Kitten Eye is the softer, more gentle version. It's the same shape--simply less. 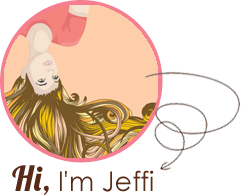 It's a more demure look and is achieved with a softer, even smudged line. To perfect a Kitten Eye begin with a sharp pencil. 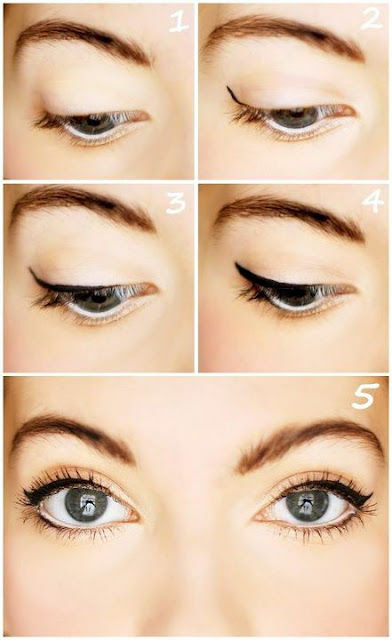 Use it as a guide and then trace over it with a slanted brush and gel or a liquid liner. For unknown reasons, drug store make-up works really well for achieving a near flawless Cat or Kitten Eye. I like L'Oreal's Super Liner or Wet-N-Wild for their formula and range of colors. I also prefer Mac and LOVE Bobbi Brown's Long-wear Gel Eyeliner. This look is less about absolute precision than a Cat Eye but it should still look neat. Start at the corner of the eye near your nose and use a sweeping motion across the lid as close to the lash line as possible. Thicken the line to follow the arch of your eyebrow and create the wing by extending it out to the corner and up. Join your the wing at the corner and fill it in to whatever thickness you desire. Aside from black, the Kitten Eye is also pretty when created with metallic colors such as gold, copper, and silver OR with brights including purple, green and the classic choice for eye make-up authorities: electric blue.